This component defines a connection to Qlik Sense, the business intelligence and visualization software. For this connection, a Qlik Connector License is required. Note: Qlik Sense Desktop is not supported. Host of the Qlik Sense server. Name of the Qlik Sense user. User directory of the Qlik Sense user. In order to connect the Qlik Sense server, a virtual proxy must be created in the Qlik Management Console (QMC). Qlik Management console is accessible via the URL “<qlikServerAddress>/qmc/”. Click “Create new” button and specify the basic info settings according to your requirements. (Right panel shows all of the properties via the selection). Select “Header authentication Dynamic User Directory” in Authentication section. Specify “Header authentication header name” and “Header authentication dynamic user directory” (see screenshot “Internal qmc panel” below). Click “Apply” button. Qlik Sense server will show a warning dialog that indicates that the virtual proxy will be restarted. Click yes and this will create the virtual proxy. 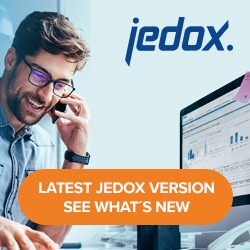 After these steps, Jedox Integrator will be able to connect the Qlik server instance with predefined parameters. The prefix of the virtual proxy. The authentication header name of the virtual proxy. The authentication dynamic user directory of the virtual proxy.